Episode 30: Storytelling – Shenanigans: Car, Gwyn, and Ode sit around the mic to tell each other stories from their respective mythological backgrounds, including: The Murder Harp, Finn McCool Eats a Fish, Why You Shouldn’t Swan and Chill, Pan Pipes Are Forensic Evidence, That One Time Thor Went Fishing, and How Asgard Got A Wall (and a Bonus Horse). Episode 31: First Steps – Shadow Work: Car, Gwyn, and Ode discuss the psychological concept of the Shadow, how it is born and manifests, what Shadow Work is, why you might want to do it, and how to go about the process. Episode 7: Wheel of the Year – Ostara: In the second of a series of Pagan Holiday Specials, Car, Gwyn, and Ode discuss Ostara, the limits of historical Eostre, and the practices of modern celebration. Episode 10: Building Your book – : Car, Gwyn, and Ode continue the Building Your book series by talking about correspondences: what they are, how they work, and ways in which you might include them in your book. Catherine is a Certified Medicinal herbalist, Hypnotherapist, and Reiki Master. She teaches on a variety of Health, Creative and Spiritual subjects. Catherine has been using her ist knowledge to create some beautiful incense. (I have asthma and so does my husband, but the incense she creates I can burn in my home with no issues.) She is also a wonderful Tarot Reader and has been doing energy healing for 25 plus years. Catherine is also knowledgeable when it comes to all the crystals she carries in the shop. Ethel is a wonderful and knowledgeable woman. She can be a hoot to have around. Ethel can tell you where to find just about anything in the store. 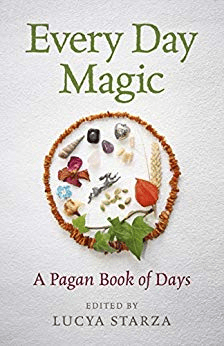 And she is excellent for advice for what book to read on subjects of the Craft or Pagan Spirituality. On weekends you may find a wonderful woman named Deb working in the shop, too. She is a kind and patient soul if you have questions on just about anything. The shop is full of beautiful hand dipped incense, shop made candles, soaps and oils (that can be worn on the skin), as well as, straight essential oils. There are several books shelves full of books, Tarot and Oracle cards. If you are looking for Gem/Crystals beads, and jewelry making supplies, they are in the shop, too. Catherine has throughout the year on different subjects, all listed on Beads N Botanicals Facebook Page. I am there doing readings on most Wednesdays. So if you are in the Urbana, Illinois area, be sure to go by the shop. You are sure to find something that spirit leads you to purchase. It’s still only February as I write this but in ten days it’ll be the first Monday of March and I will be moving into a new apartment. I am so excited but I have to admit that I am just a bit overwhelmed! I have all of my books packed and most of my fine china and collectibles. I still have to pack up my kitchen – except for what I’ll need on a daily basis until moving day. And all my pictures will have to come off the walls here. There were lots of holes punched in the walls in this place I’m in now – the people who lived here before me argued a lot and apparently like to throw things at each other – so I covered the walls with dozens of pictures to cover up all the holes and marks from their stupidity. I’ll miss my collage but the new place is really nice and I won’t need to cover the walls at all. They all have a coat of fresh paint – a lovely peach color in the bedrooms and off-white in the living room and dining room. The place is spotlessly clean. There’s a huge front porch and I can hardly wait to put a porch garden up there. I want tomatoes and peppers and cukes and lots of colorful flowers. I have missed gardening these last few years – stuck in apartments with no porch, not even a small balcony – so I am more than ready to get my hands in some dirt! I am so glad I held onto my gardening tools. 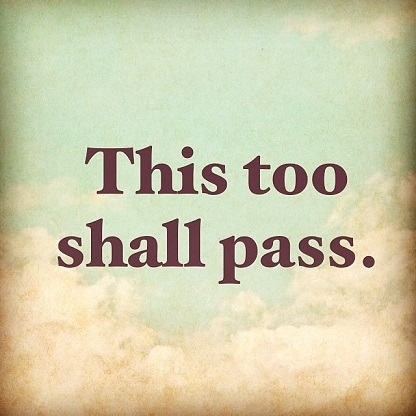 These last two years I have been about as depressed as I have ever been but I have hung in there and told myself over and over, “This too shall pass” – and it did. I am finally moving out of this dead-end neighborhood – moving to a far nicer section of the city – moving to a bigger, lovelier apartment – closer to everything that I need in my life. I am so thankful and happy. Hey, I know this is a lame column this month but I am wicked busy! I just wanted to stop in and tell you all – if you are struggling, if you think it’s not worth it – HANG IN THERE. It gets better. It really does. In This Issue, We’d Like to Help You Plan Out Your New Year With Helpful Features. Check Out Our Review of Coloring Book of Shadows Planner for A Magickal 2019 by Ami Cesari. Wreathing the Wheel Teaches Tarot Journaling for the New Year. We Review Two New Beautiful Calendars. And Why Not Start the Year Off Right With a New Column – Book of Shadows: As the Wheel Turns. To Help on Planning Your BOS!